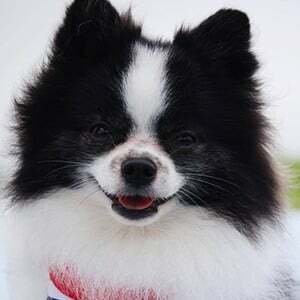 Parti pomeranian who has become an online sensation for being dressed in a panda bear costume. He became known to many for his appearance on season nine of Shark Tank, where he helped his owner pitch the dog costume company Pandaloon. He has also appeared on Pupparazzi and GMA Day. He was raised in Southern California as an only dog. 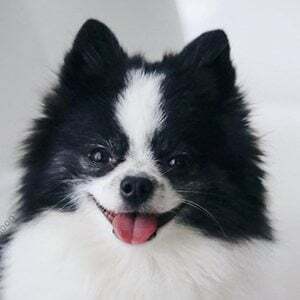 He's also a crowned TikTok creator with over 1.3 million followers on his huxleythepandapuppy account. Additionally he has over 70,000 followers on his Facebook account. 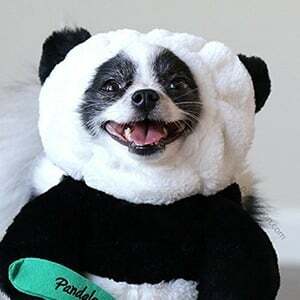 His owner, Eugenia, is the founder of Pandaloon, and was featured on Shark Tank season 9, episode 17. His appearance on Shark Tank elicited a smile from "shark" Daymond John.